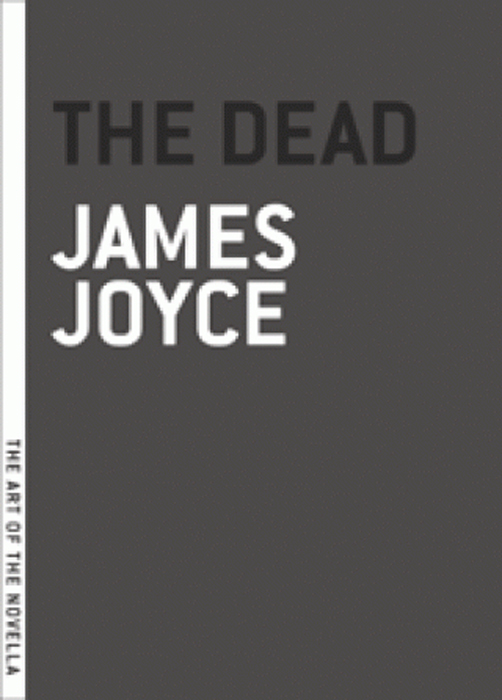 So maybe all this hand-wringing at the mere suggestion of reading James Joyce isn't totally warranted after all. Last year, I cautiously began reading a few stories from Dubliners. They weren't as convoluted or obtuse as I'd expected and, in fact, I actually liked them. 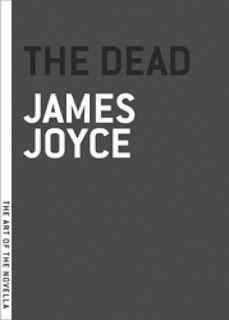 The Dead, the last and longest story of the collection, has been included in the Melville House Art of the Novella series. "A few light taps upon the pane made him turn to the window. It had begun to snow again. He watched sleepily the flakes, silver and dark, falling obliquely against the lamplight. The time had come for him to set out on his journey westward. Yes, the newspapers were right: snow was general all over Ireland. It was falling on every part of the dark central plain, on the treeless hills, falling softly upon the Bog of Allen and, farther westward softly falling into the dark mutinous Shannon waves. It was falling, too, upon every part of the lonely churchyard on the hill where Michael Furey lay buried. It lay thickly drifted upon the crooked crosses and headstones, on the spears of the little gate, on the barren thorns. His soul swooned slowly as he heard the snow falling faintly though the universe and faintly falling, like the descent of their last end, upon all the living and the dead." Links to other Art of the Novella challenge posts can be found here. 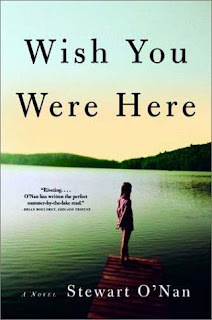 Wish You Were Here is an excellent character study of a family grudgingly plodding forward while believing the best chance for happiness passed by sometime ago. Novels about family relationships almost always interest me, but throw in a lakeside setting and it becomes irresistible. The cover blurb promises "the perfect summer-by-the-lake read" and that's exactly what O'Nan delivers. 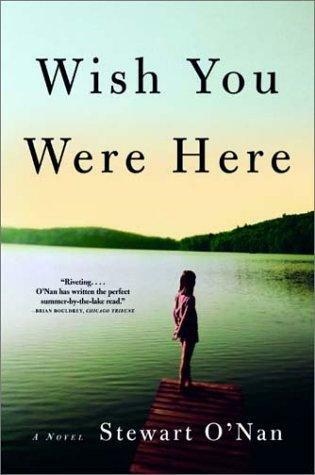 Wish You Were Here is divided into sections - one for each day of the vacation. There is little action in this relatively quiet novel. The characters don't change or grow (it's only one week), but the reader really gets to know them and, by the end, understand them, too. O'Nan also pays close attention to detail, whether it is a description of the natural surroundings, a round of golf, or subtle nuances of the characters' interactions. This author gets it! There were at least a couple of instances where plot lines could have been wrapped up (too) neatly and easily but, happily, this resolution was not chosen. Real life isn't necessarily tidy and neither is this novel. Next up is Emily, Alone, a sequel to Wish You Were Here. "Tuesdays, Emily Maxwell put what precious little remained of her life in God's and her sister-in-law Arlene's shaky hands and they drove together to Edgewood for Eat 'n Park's two-for-one breakfast buffet. The Sunday Post-Gazette, among its myriad other pleasures, had coupons. The rest of the week she might have nothing but melba toast and tea for breakfast, maybe peel herself a clementine for some vitamin C, but the deal was too good to pass up, and served as a built-in excuse to get out of the house. Dr. Sayid was always saying she needed to eat more. It wasn't far -- a few miles though East Liberty and Point Breeze and Regent Square on broad streets they knew like old friends -- but the trip was a test of Emily's nerves. Arlene's eyes weren't the best, and her attention to the outside world was directly affected by whatever conversation they were engaged in. When she concentrated on a thought, she drove more slowly, making them the object of honking, and once, recently, from a middle-aged woman who looked surprisingly like Emily's daughter Margaret, the finger." 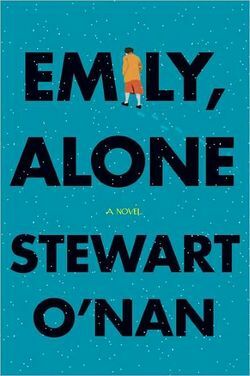 I finished Stewart O'Nan's Wish You Were Here yesterday and immediately moved on to it's sequel Emily, Alone. After just a few pages, I can tell it's another winner. Have you read O'Nan? Would you continue reading this based on the opening paragraphs? Tuesday Intros is hosted by Diane at Bibliophile by the Sea. Find more intros here. My annual goal for the library book sale is to donate more than I purchase. Thanks to a major shelf-weeding effort, achieving that goal was never in doubt this year. I loved The Time Traveler's Wife and remember reading several excellent reviews of this one a year or two ago. Should make for excellent Halloween-themed reading. This has been on my wish list for some time. I tried to get my book club to read it last year, but they thought it sounded too depressing. Maybe my pitch will be more effective once I've read the book. I've only read one novel by Brookner and, for the life of me, can't remember the title. Next summer, I'll be ready for International Anita Brookner Day. One member of my book club has suggested this nonfiction work several times. If it gets chosen, I'll be ready. I love John Irving - period. This slim modern classic has been on my radar for years. Fingersmith was amazing and I enjoyed The Night Watch, too. Everyone seems to rave about Tipping the Velvet, so I was thrilled to find a pristine copy for only two dollars. I've finally started reading poetry this year and thought this would be a perfect addition to my small collection. Have you read any of these? Where should I begin? Which Novella Would You Choose? Novellas are everywhere this month. For a fun twist on Bibliophile By the Sea's Tuesday Intro meme, I'm asking you to help me choose which one to read next. "Lily, the caretaker's daughter, was literally run off her feet. Hardly had she brought one gentleman into the little pantry behind the office on the groundfloor and helped him off with his overcoat when the wheezy halldoor bell clanged again and she had to scamper along the bare hallway to let in another guest. It was well for her she had not to attend to the ladies also. But Miss Kate and Miss Julia had thought of that and had converted the bathroom upstairs into a ladies' dressingroom. Miss Kate and Miss Julia were there, gossiping and laughing and fussing, walking after each other to the head of the stairs, peering down over the banisters and calling down to Lilt to ask her who had come." "There had been a war fought and won and the great city of the conquering people was crossed with triumphal arches and vivid with thrown flowers of white, red, and rose. All through the long spring days the returning soldiers marched up the chief highway behind the strump of drums and the joyous, resonant wind of the brasses, while merchants and clerks left their bickerings and figurings and, crowding to the windows, turned their white-bunched faces gravely upon the passing battalions." 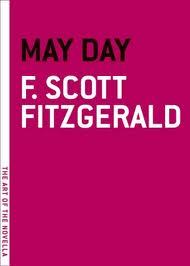 So, based on the opening paragraph, would you choose The Dead or May Day? Visit Bibliophile By the Sea for more Tuesday Intro posts. "The dreadful, terrible act of his dying, he saw, was reduced by all those around him to the level of an accidental unpleasantness, partly an indecency (something like dealing with a man who comes into a drawing room spreading a bad smell), in the name of that very "decency" he had served all his life; he saw that no one would feel sorry for him, because no one even wanted to understand his situation." 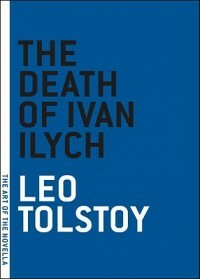 Written eight years after the publication of Anna Karenina—a time during which, despite the global success of his novels, Leo Tolstoy renounced fiction in favor of religious and philosophical tracts—The Death of Ivan Ilyich represents perhaps the most keenly realized melding of Tolstoy’s spirituality with his artistic skills. Here in a vibrant new translation, the tale of a judge who slowly comes to understand that his illness is fatal was inspired by Tolstoy’s observation at his local train station of hundreds of shackled prisoners being sent off to Siberia, many for petty crimes. When he learned that the sentencing judge had died, Tolstoy was roused to consider the judge’s thoughts during his final days—a study on the acceptance of mortality only deepened by the death, during its writing, of one of Tolstoy’s own young children. This is such an interestingly structured novella. It begins with the announcement of Ivan Ilyich's death, and then goes back in time to re-examine his life - marriage, career, and the months leading up to his death. During this journey, we are privy to Ivan Ilyich's innermost thoughts and struggles. "...the most important thing for Ivan Ilyich was that no one pitied him as he wanted to be pitied: there were moments after prolonged suffering, when Ivan Ilyich wanted most of all, however embarrassed he would have been to admit it, to be pitied by someone like a sick child. He wanted to be caressed, kissed, wept over, as children are caressed and comforted. He knew that he was an important judge, that he had a graying beard, and that therefore it was impossible; but he wanted it all the same." This is a stunningly beautiful portrait of suffering and death. I found myself marveling at Tolstoy's writing (and Pevear and Volokhonsky's translation) in passage after passage. He is obviously one deep thinker! Although I really liked Anna Karenina and several of his short stories, I wouldn't exactly classify myself as a fan. However, The Death of Ivan Ilyich makes me long to conquer War & Peace. Perhaps I should settle for The Devil first. Translation is key. If it weren't for Pevear and Volokhonsky, I might never read the Russians. Deliciously Deceitful or Simply Misunderstood? "My dear Alicia, of what a mistake were you guilty in marrying a Man of his age!---just old enough to be formal, ungovernable and to have the Gout--too old to be agreeable and too young to die." This high-spirited tale, told through an exchange of letters, is unique in Jane Austen's small body of work. It is the story of Lady Susan, a brilliant, beautiful and morally reprehensible coquette who delights in making men fall in love with her, deceiving their wives into friendship and even tormenting her own daughter, cruelly bending her to her will. may be considered one of Jane Austen's minor works, her wit and wisdom shine through on every page. Lady Susan Vernon is a classic Austen villain. You never know what will appear in her next missive. It could be something like the outrageous quote above, or you may find a small pearl of wisdom. "...where there is a disposition to dislike a motive will never be wanting"
Epistolary novels have long been a personal favorite, and it's no surprise to find Jane's execution simply masterful. My sole complaint is that the book was too short. The letters ran out long before my interest in their subjects. Links to more Art of the Novella challenge posts are here. "In the big building of the law courts, during a break in hearing the case of the Melvinskys. the members and the prosecutor met in Ivan Yegorovich Shebek's office, and the conversation turned to the famous Krasovsky case. Fyodor Vassilievich became heated demonstrating non-jurisdiction, Ivan Yegorovich stood his ground; as for Pyotr Ivanovich, not having entered into the argument in the beginning, he took no part in it and was looking through the just-delivered Gazette. "Here, read it," he said to Fyodor Vassilievich, handing him the paper still smelling of fresh ink. It's a strange thing, isn't it? We raise our children with the hope (and expectation) that they will one day become independent and self-sufficient. Yet when the time finally comes for them to leave the nest, it's hard to let go. But let go, we must. Our bond evolves as we strive toward a new relationship with our "grown-up" kids. 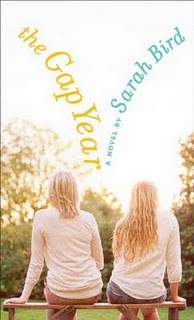 The Gap Year, by Sarah Bird, chronicles this journey for one mother and daughter in a unique, creative, and ultimately satisfying manner. Cam Lightsey has always had a close relationship with her daughter Aubrey. Years ago, Cam's husband left to join a wacky religious cult and it's been just the two of them ever since. However, tensions rise as Aubrey's scheduled college departure looms. It soon become abundantly clear Aubrey's immediate plans do not include college. Told in short alternating chapters, Cam and Aubrey's stories unfold one year apart. Set in the present, the bulk of Cam's chapters take place over several days, while Aubrey's narrative takes us back to the beginning of her senior year. This shift provides the reader with gradually unfolding insight and understanding into the characters. While the structure sets the book apart and makes it much more than just another novel about mother/daughter relationships, Bird's smart, funny, and thought-provoking prose makes The Gap Year a stand-out. On a more personal note, my own daughter begins a three week seminar for incoming first year students today. Yesterday we moved her into the dorm, attended the requisite parent program, shed some tears, and came home to face the empty bedroom. This was definitely a case of the right book at the right time for me! * I read an Advance Reading Copy provided by the publisher. Page numbers/quotes in the final copy may be slightly different. 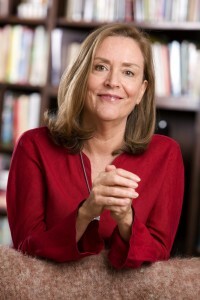 Sarah Bird is the author of seven previous novels. She is a columnist for Texas Monthly and has contributed to many other magazines including O, The Oprah Magazine; The New York Times Magazine; Real Simple; and Good Housekeeping. Sarah, the 2010 Johnston Dobie Paisano Fellow, makes her empty nest in Austin, Texas. 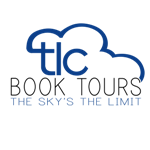 The complete tour schedule can be found at TLC Book Tours. 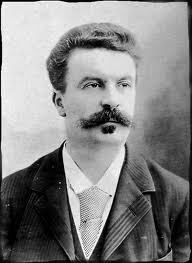 It's the birthday of the great French short-story writer Guy de Maupassant (books by this author), born Henry-René-Albert-Guy de Maupassant in Normandy (1850). Mentored by Gustave Flaubert and befriended by Émile Zola, Ivan Turgenev, and Henry James while Maupassant toiled as a lowly government clerk, the French writer joined the ranks of his famous benefactors in 1880 when he published a collection of stories on the Franco-Prussian war. The title story, "Boule de Suif," takes its name from the main character, a prostitute hypocritically shunned by her fellow stagecoach passengers; a literal translation of her nickname is "Ball of Suet" or "Ball of Fat." The name was a compliment — an ample woman was a rarity in that time of hardship — and the portrait was deeply sympathetic. Maupassant wrote feverishly for the next decade, completing six novels, three travel books, one book of poetry and another of plays, plus the 300 short stories for which he is best remembered. He attained that rarest achievement for a writer: fame and fortune, critical and popular success, all in his own lifetime. And yet his prosperity, complete with a private yacht he named Bel Ami (Good Friend), could not be fully enjoyed. Maupassant felt the first effects of syphilis in his mid-20s; by his late 30s, the disease was progressing to its final stage. His eyesight weakening, his paranoia growing, Maupassant's writing became increasingly dark and preoccupied with madness. After a failed attempt to shoot himself in the head, he stabbed his own throat, and survived only to be locked in an insane asylum. The last entry in his medical report, written shortly before his death at the age of 42, said, "Monsieur de Maupassant is degenerating to an animal state." He wrote, "A sick thought can devour the body's flesh more than fever or consumption." And he wrote, "Great minds that are healthy are never considered geniuses, while this sublime qualification is lavished on brains that are often inferior but are slightly touched by madness." ... and joined The Art of the Novella Reading Challenge. It's the brainchild of Frances at Nonsuch Book, but has been heartily embraced by Melville House, publisher of the gorgeous thirty-seven volume set (plus five "Duel" Novellas). August is a busy month around here. Moving kids to and from internships and colleges will occupy a minimum of three weekends, but at least ten novellas have caught my eye. Since I'm a realist, I'll play it safe and sign up for the "curious" level, while still entertaining hopes of advancing to "fascinated". "...but where there is a disposition to dislike a motive will never be wanting..."
Melville House is collecting links to all challenge posts here, so stop by and see what everyone is reading. It's Verity and Ken's Wedding Day! Verity and Ken are getting married today! To celebrate, here is a video of Paul Stookey singing "The Wedding Song." Yes, Peter Paul and Mary are oldies (even for me), but no wedding is complete without this traditional favorite. Congratulations Verity and Ken. I wish you a lifetime of happiness!